Stock markets around the globe have come under pressure in recent days with a collapse in the Turkish lira and vulnerabilities in the emerging market space. John Roque at Key Square Capital Management recently told Financial Sense Newshour that the dollar is likely to strengthen further and this will cause weakness to spread into oil and commodity-sensitive countries like Russia. Here's what he had to say along with a few key charts he discussed on our podcast. The dollar is showing strength against most currencies right now. 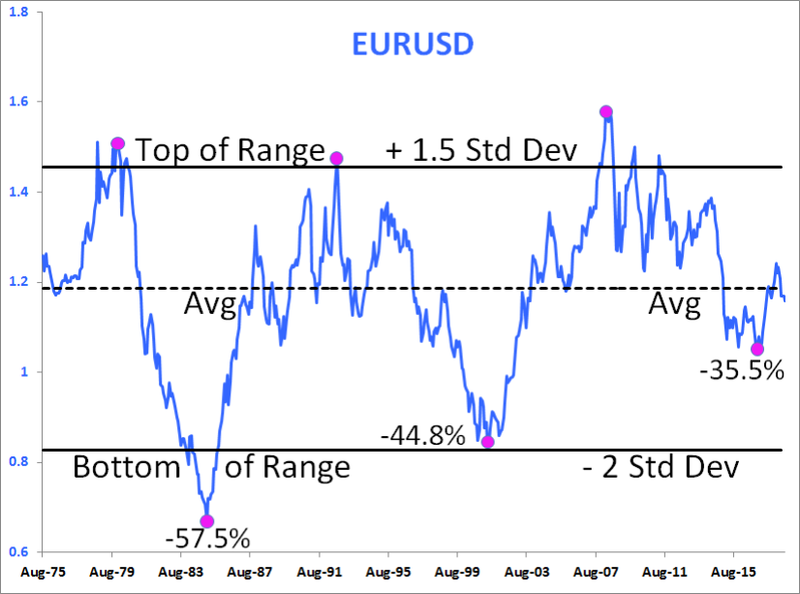 The price action for the euro-dollar chart shows a sharp break below what was two months of support. The euro is going to go importantly lower against the dollar, Roque stated, in part because of interest rate differentials clearly favoring the United States, and too much complacency on the euro and potential growth in Europe. Source: Key Square Capital Management. Past performance is no guarantee of future results. Roque has put together a chart for Brent crude, and it’s indicating that the strong rally off the 2016 lows may be in the process of ending. 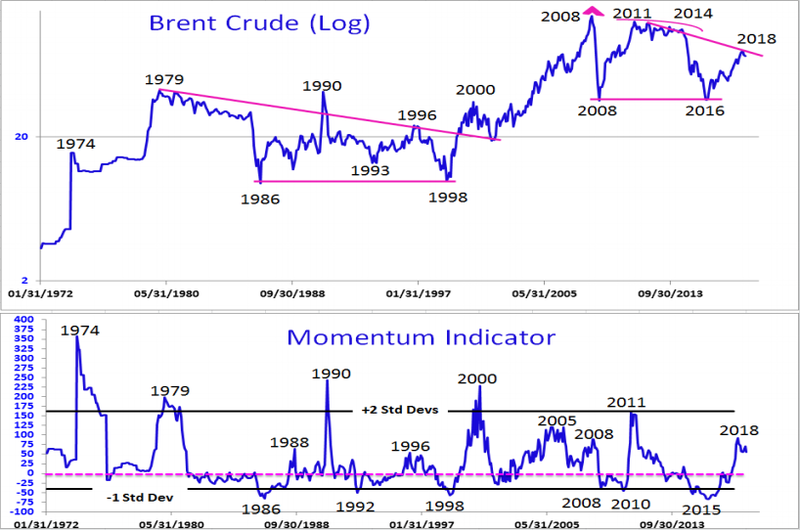 After hitting a low of $27.10 in 2016 to a high of just over $80, the rally so far has been impressive, Roque said, but momentum is now slowing and the price of oil may be undergoing a long-term consolidation similar to what took place during the 80s and 90s. We saw fireworks last week with currency weakness in emerging markets, Roque noted, and subsequently we’ve seen some recent deterioration in Russian markets. Based on his historical analysis, Roque stated, this likely means that this market is commodity sensitive and probably will also likely be affected by the anticipated weakness in oil. The index was down 7.33 percent last week, he noted. 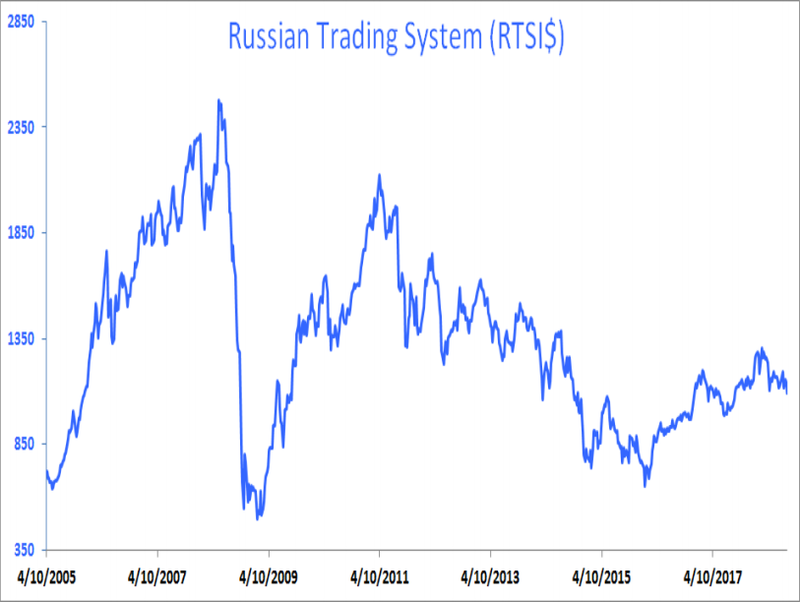 The 1000 level is the key level for this Russian Trading System index, Roque added, and below this point, which probably won’t hold, the Russian market has some important downside in the cards. 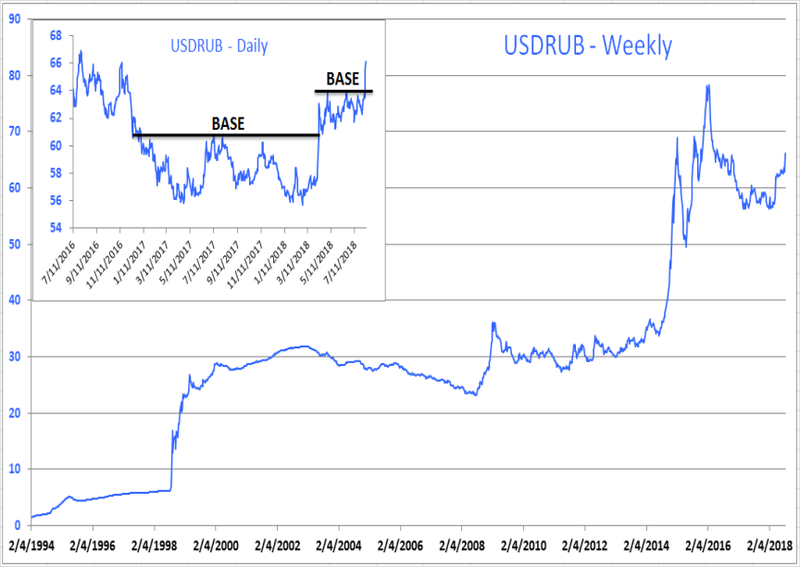 The Russian ruble is showing significant weakness against the U.S. dollar, and based on this chart, we’ll likely see further weakness ahead as well. We had two bases through last year and this year, and we’ve now accelerated through both of them. Roque also explained how a large portion of capital is now being managed purely by machines running on auto-pilot and not people, which is having a distorting effect on the market. Investors are complacent right now, Roque stated, and those owning one of the major indexes will probably do OK going forward. Eventually, though, the distortions caused by mindless algorithms running the market will hit home.